Some things are funnier when you’re older. I wrote this post 3 years ago for a blog we were doing at Horizon Elementary. 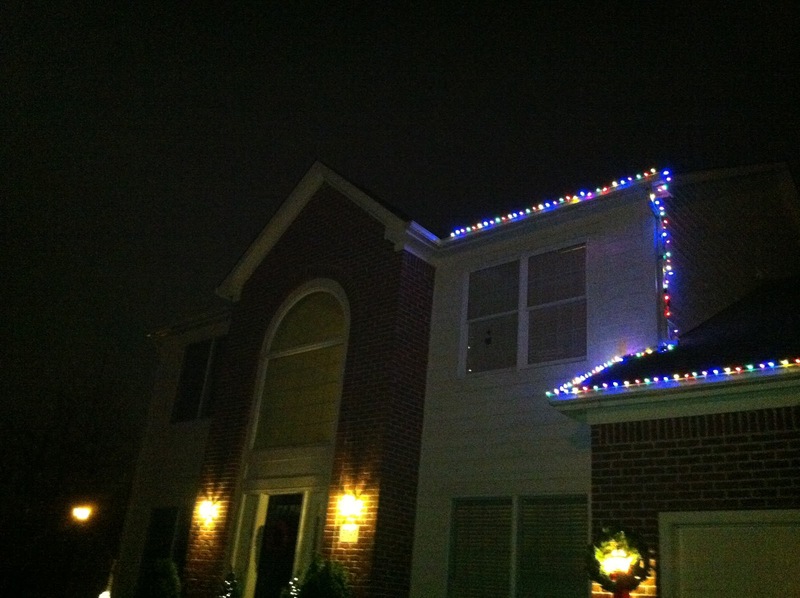 I reread it this weekend after finding an awesome solution to putting up Christmas lights. My family and I have lived in our house for 3 years now and each year I’m expected to put up lights outside during the holiday season. I don’t really have a say. When I complain, I get a reminder that our daughters (the bosses) won’t be young much longer. After my guilt trip, I usually get going. Usually decorating consists of me throwing a few strands of lights that still work from last season around the tree in the front yard a couple of times and calling it a day. That wasn’t going to cut it this year. For the past few weeks, my four year old (the manipulator) looks out the window at the neighbor’s house lighted up in all it’s glory and says, “Can we make our house look like that?”. 1. The ladder didn’t reach the rooftop. 2. I still haven’t conquered my fear of falling off ladders that don’t reach rooftops. And that’s when it hit me. The scene in the movie National Lampoon’s Christmas Vacation, where Clark is hanging on his gutter trying not to fall from the roof, got 10 times funnier in that moment. I used to think it was just a funny scene, but now I get it. I guess somethings are funnier when your older. 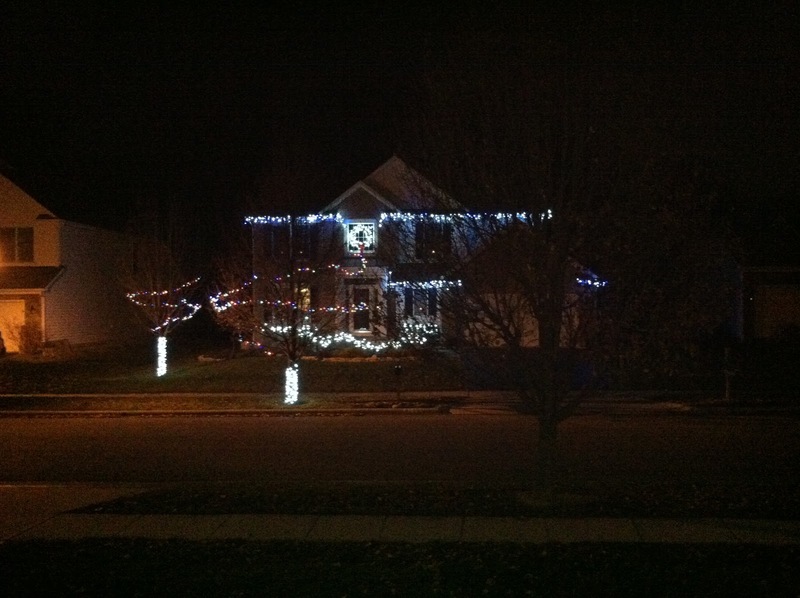 Holiday Lights Part 2 from Herb Higginbotham on Vimeo. Dec 1 – BIT Meeting — Please have your wish list items submitted by Dec 1 to be considered by PTO. Last Wednesday, Adrianna Kruse captured the moment above, recognizing the “pure joy” of her kindergarten students playing in the leaves on a windy day. Later on that afternoon, I was heading out to my recess duty a little early and noticed a group of kids playing in the same leaves. The kids ranged from 1st grade to 5th grade, but each was captivated by the “leaf tornado”. One of the kids noticed I had stopped to watch them having fun and said, “We were wondering if leaves turned into soil or compost when they die?”. “What does everyone think?” I asked. “Well, I think they turn into compost and he thinks they turn into soil,” the student replied. Ah, the perfect response for starting a learning opportunity! “I have an idea. Let’s ask Wonderopolis if they know the answer,” I suggested. I told the kids that there is a website called Wonderopolis that has hundreds of posts questions, or wonders, that kids have asked. They post information including videos and resources that help answer the “wonder”. While this is a great example of recognizing when we can take learning further, it actually made me reflect on the way kids learn and make sense of their world. They ask lots of questions, they create their own hypotheses, and work out meaning through play. As adults and educators, we need to remind ourselves that kids are naturally curious and build off of that. How much would our unit or lesson plans change if we started with the fact that kids are naturally curious? How much more would the learning experiences we create for kids reflect inquiry and build on a sense of wonder? We should commit ourselves to letting the curiosity and wonder of children inspire us to create learning experiences that fuel their learning. Here’s to fueling the wonder and curiosity of kids! 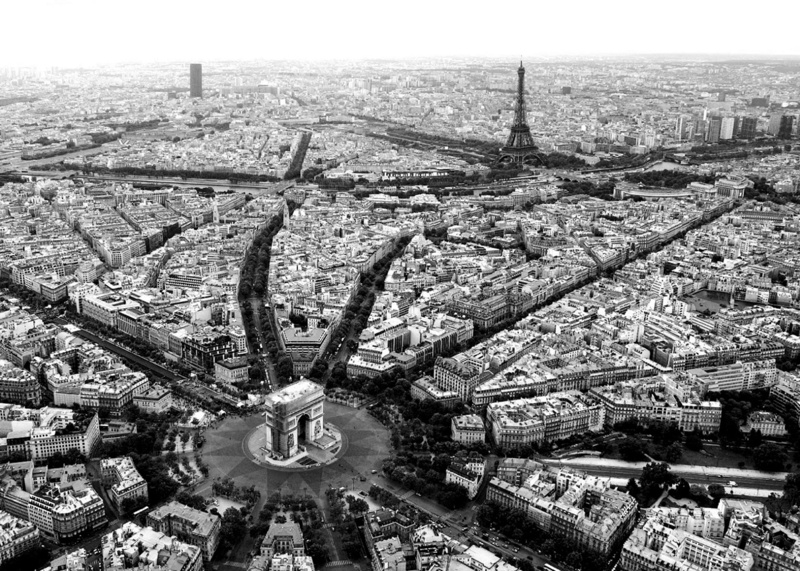 This weekend was a somber one for many around the world as events surrounding the terrorist attacks in Paris unfolded. Social media became a source of information for me, especially Twitter’s “Moments” tab which populated updated information. It amazes me how this medium has become a go-to place to learn about current events, even over the cable news channels. One of the posts I ran across was of a man playing a mobile piano in a Paris street. The song he played? “Imagine” by John Lennon. Lennon’s music, especially the songs he created while a Beatle, have often been the source of inspiration for millions of people. The Beatles could have written songs about hate, despair, and negativity, but they chose to share messages of hope, love, and inspiration. It inspires me to see people, in the middle of chaos and unimaginable sadness, choose to share messages of hope, community, and optimism. Nov 17 – Team Connection Time — Let me know! The schedule is clear! It was in the moment just before a big meeting that someone asked me, “Are you ok?”. “Yeah, I’m fine!” I replied. “Are you sure? You don’t look okay, ” she replied back. I was trying to get my mind right just before our meeting. We were coming together to talk about our next steps for our Re-Imagine Elementary Education project, so I wanted to be fully tuned into what we were going to be doing. I had a far away look for many reasons – I was unpacking the things I knew I would need to attend to that night (emails, phone calls, etc); I was trying to think of the things I wanted to say during the meeting; and I was tired. Very tired. My wife tells me all the time, “You always say you’re tired,” but on this day I was just drained. My colleague told me that principals can get this way around November. She suggested that October is when teachers are starting to feel the pressure of the year and principals feel the need to keep the energy up and going for everyone. November is when principals are starting to come down. True or not true – That described me in that moment, so I believed it. And I realized I needed to work harder on that thing called balance. This rest of the week I spent my time keeping my eyes open for some positivity – Articles, videos, whatever crossed my path that would pick me up. I didn’t actively seek them, I just kept my mind open. I needed things to lift me back up. Social media helped me hit the jackpot! Check out some of the great articles and videos I ran across since Thursday below. Each one lifted me up and helped me get my mind right. The challenges we all face at school and in life won’t go away and we can’t change that. We can only change how we respond to those moments. This 3 minute video talks about how many of us are always longing for that next phase in life because we are seeking comfort. John Spencer suggests that the discomfort of life is what life’s all about — Life’s meant to be EPIC! There was a post going around about a teacher who resigned because of the state of education, more or less. I loved this response to that post from Krissy Venosdale about lifting up the positive in order to make a difference. I know that we are in some turbulent times in education and that some of us didn’t sign up for this when we got into this profession. But here we are. We have to decide how we are going to respond. 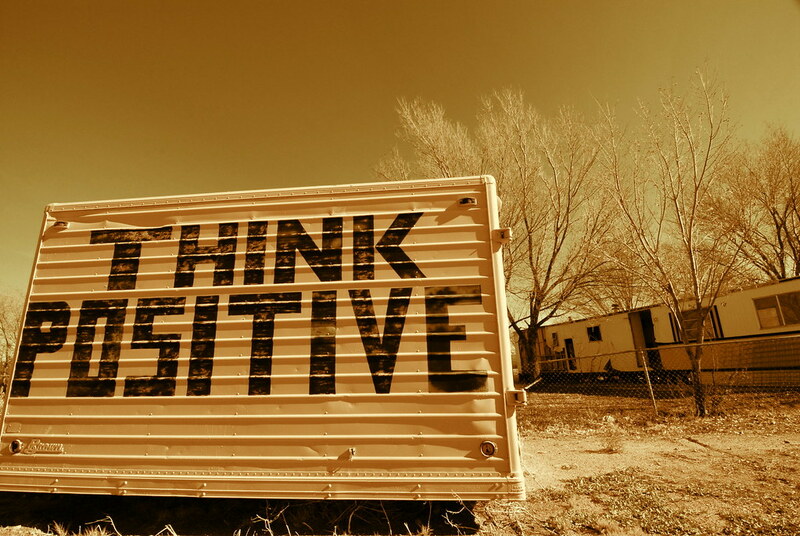 I hope you will join me in lifting up the positive in order to make meaningful change. Managing vs. Leading? – Actually they’re both important. Many leadership articles and books like to compare leadership styles to draw out the pros and cons of each. One comparison in particular resonates with me as a elementary principal: The Manager vs. The Leader. The manager is the person who is detailed-oriented and tends to micromanage projects or the development of ideas. The leader motivates people through vision, often working towards a shared vision. As a principal, I strive to be more of a leader than a manager. That’s often a challenge given all of the tasks a principal must manage – schedules, budgets, evaluations, data, to name a few. But I work to find a balance that tips towards leadership and away from managing. I think what Power is talking about is the need to blend the visionary with the detail-oriented. My struggle comes when people turn to me for details I feel like I should know because it’s just more professional. “What time does 1st grade recess end?” or “When are we having that meeting again?” are questions whose answers I should have but don’t always have. This is something I am working on and trying grow into. I’ve reevaluated my stance on managerial leadership especially after reading part of The Principal by Michael Fullan. Fullan argues that a principal has to be a good manager, too. If principals manage well, then they create the time they need to also be instructional leaders. This also makes me think about two of my heroes, John Lennon and Paul McCartney, and how they lead change. Both were visionaries who revolutionized music, but both were also great managers in that they focused on the details. 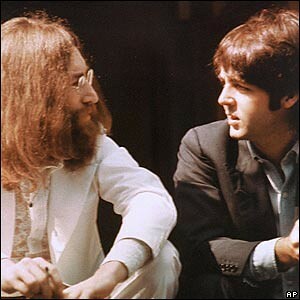 When they worked the White Album, Lennon and McCartney both shared how they were using their producer less and less to make the songs they wanted to create because they were more familiar with the details of music production. They had become great visionaries who knew how to work with the details. Just like teaching, I am constantly evaluating how much I need to facilitate through leading and empowering others to make decisions and how much to I need to intervene. As we work to re-define the elementary learning experience, I am stepping up and owning the ideas I have to help move us forward. I am excited to dig in and get my hands dirty in making our vision come to life.